Amphibian conservationist Andrew Gray, Curator of Herpetology at Manchester Museum, has named the creature Sylvia's Tree Frog, Cruziohyla sylviae, after his 3-year-old granddaughter. 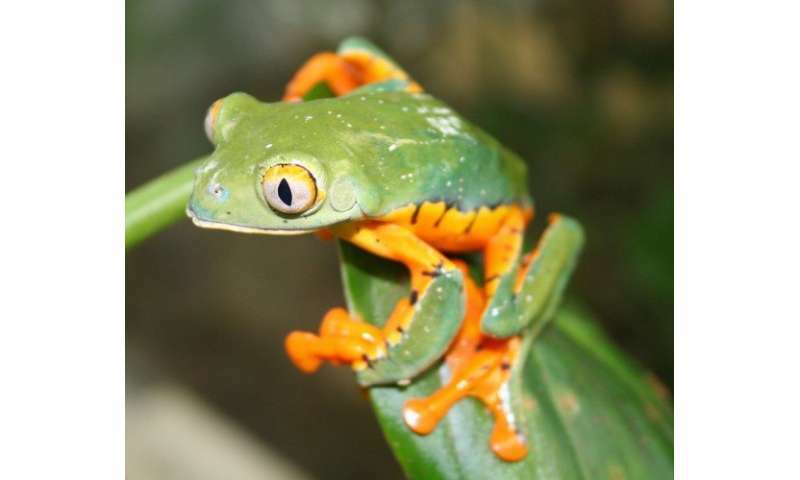 Sylvia's Tree Frog, Cruziohyla sylviae, was originally collected in Panama in 1925 but has remained confused with the Splendid Tree Frog, Cruziohyla calcarifer, ever since. 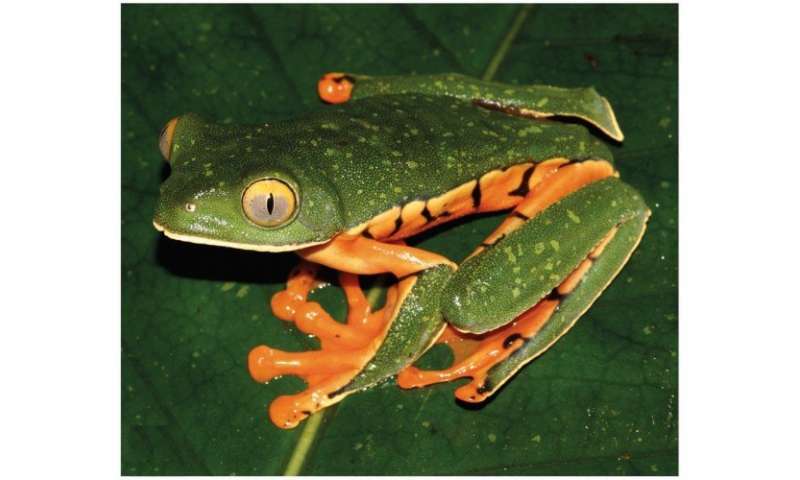 Less than 50 specimens are known of that species and less than 150 specimens of Sylvia's Tree Frog are recorded. Genetic and biochemical work carried out at The University of Manchester's Faculty of Biology, Medicine and Health was instrumental in the findings. He said: "It's remarkable that such a distinctive new species has remained undetected for such a long time. "However, more importantly, this work highlights that an assessment of the conservation needs for each species is urgently required to ensure these amazing creatures are still around in another 100 years". Esme Ward, Director of Manchester Museum, added "It's a real privilege to be maintaining such rare frogs in our collection and supporting amphibian conservation around the planet. "This multi-disciplined research highlights the importance of museum collections, where both live and historical specimens are aiding current taxonomy to make a real difference in shaping the future of wildlife conservation." "Review of the genus Cruziohyla (Anura: Phyllomedusidae), with description of a new species" is published in Zootaxa.